The latest Avensis offers a far more favourable range of diesel options. The old inefficient 2.2-litre unit, has been replaced with a 2.0-litre powerplant with power upped to 141PS. This is further supported by the 1.6-litre D-4D diesel with 110PS. Toyota’s Avensis has established a reputation as a nicely constructed family car, despite a shrinking market and similarity to other models such as the Lexus IS. The latest Avensis offers a far more favourable range of diesel options. The old inefficient 2.2-litre unit, has been replaced with a 2.0-litre powerplant with power upped to 141PS. This is further supported by the 1.6-litre D-4D diesel with 110PS. The Toyota Avensis is Japan’s response to conventional saloons and hatches such as the Ford Mondeo and Skoda Superb. The car is affordable at an acceptable price, with a 100 000 mile five year warranty which makes it attractive for medium-ling term. The car is a saloon in the traditional mode with a decent size boot of 509 litres and spacious internally. The options come with three engines and four trim levels to select from. It comes with a manual or automatic gearbox and a single 1.8 litre petrol, or 1.6 / 2.0 litre diesel with a manual gearbox economy option. The 2.0 litre diesel engine has acceptable CO2 emissions and respectable performance, better than the 1.6 litre counterpart. The Business Edition trim has additional features such as sat-nav, alloy wheels, rear-view camera and climate control. The Avensis is suitable for long distance driving, with comfort on the motorways and a soft suspension. Around the corners the Avensis leans slightly in the bends, with a precise steering and a pleasant gearbox. d bends. The diesel engines are of more concern, as a driver may feel vibrations through the steering wheel and pedals with road/wind noise at speed, and sound gruff at both idle/high rpm, but okay at cruise level. The lag behind the refinement of cars such as the Skoda Superb. Our selected option is the 2.0 litre diesel, which offers an automatic gearbox and flexibility from low rpm but slower than rival counterpart engines. The 1.6 litre size is underpowered and heavy on petrol usage despite the better emissions. The interior cabin plastics feels outdated and not very appealing. For long mileages it is a comfortable drive, good lumbar support and visibility incl rear-view, with both the drivers seat and steering offering plenty of movement There seems to be too much plastic visible overall, which is unattractive, with a cheap looking handbrake switch and cubbyhole lid. Infotainment system is slow, cumbersome and prone to showing black screen when switching between displays. The main screen is supported by smaller visual displays, simple navigation and additional data in front of the driver. The LCD display and its dials look cheap, outdated but logically laid out. Equipment features are significant with cruise control, air-con, bluetooth hands-free system and electric heated mirrors. The Business edition also has a sat-nav, alloys, climate control and other features. The car has good interior space but impaired by a conventional boot. It has good head room despite sitting high and avoids elbow clashes with a front seat passenger. similarly with rear seat passengers with good head / leg room and a flat floor is ideal for centre seat passengers. The closest USB socket is in the centre armrest and at the base of the centre console there is a rubberised pad ideal for a smartphone. The doors have suitably sized pockets for bottles of drinks, with room aplenty inside the armrest for the phone and a myraid. Avensis provides a conventional boot similar to a BMW 3 Series or Audi A4. There is good comfortable 509 litres of load space with split folding seats and a wheel arch intrusion which makes bulky items packing difficult. The car has moderate running costs and a good warranty. The 1.6 litre diesel is the cheapest to run, with low CO2 emissions, low BIK rates and best economy. The 2.0 litre diesel is more expensive but does provide an enhanced performance. In addition to the five year 100 000 mile warranty there is an option for a service plan on a monthly instalment or fixed fee. The car has good sell on value and is competitive with other brands. All Avensis versions have a five-star Euro NCAP with autonomous emergency braking, electronic aides and suite of airbags. The Toyota Avensis competes in the mid-sized executive saloon division with automobiles such as the Ford Mondeo, Vauxhall Insignia and Mazda 6 as its chief rivals. 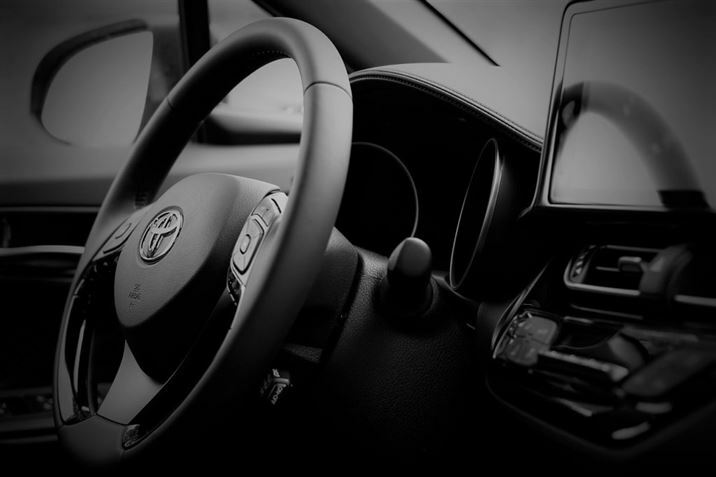 The Avensis is a popular car for company car owners and taxi drivers, mainly due to its comfort, efficiency, reliability, competitive price and low maintenance costs. 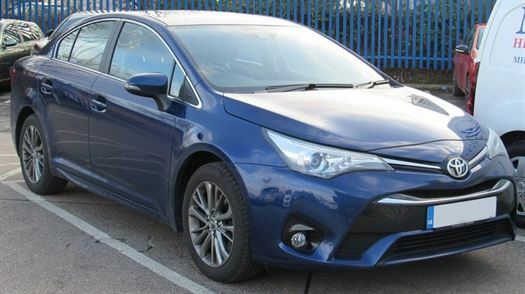 The estate model is available as the Avensis Touring Sports, but there is no hatchback. The new Toyota Avensis is still highly popular, economical, clean, comfortable and good for tax purposes – especially with the six speed manual gearbox option. The car received facelifts in 2011 and 2015, but still had less impact than cars such as the Skoda Superb. The car despite being comfortable and a refined cruiser, but its inert steering and over-soft suspension causing pitch and roll in the road bends means its not as engaging and enjoyable as rivals such as the Mazda 6 drive. The Avensis range includes the Active through to Business Edition, Business Edition Plus and top-of-the-range Excel. All the models have cruise control, LED daytime running lights, bluetooth and air-con. 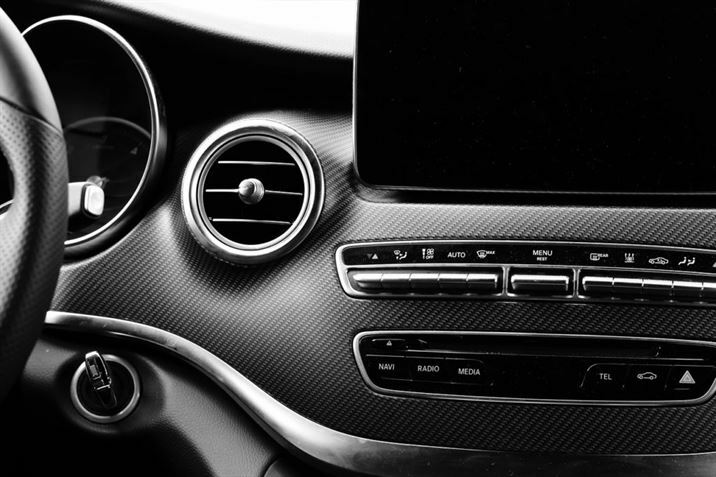 The Business Edition additional features include auto lights, wipers, 8″ touchscreen, reversing camera, and 17″ alloys, whilst Business Edition Plus has rear privacy glass, LED headlamps, part-leather seats, and unique alloys. The Avensis Excel adds leather, a panoramic roof and advanced connectivity options. The engine performance and drive is refined, comfortable and quiet. Generally overall, the Avensis is a safe, refined and comfortable car to travel in. The diesel engines offer the best picture of performance and economy, with the best being the 2.0 litre with 14 bhp, allowing acceleration from 0-62 mph in 9.5 seconds. The new 1.6 litre -4D diesel – 110 bhp and 0-62 mph taking 11.8 seconds – and a 145 bhp 1.8 litres petrol that gets to 62 mph in 9.4 seconds. Prospective buyers should be encouraged to refrain from the 1.8-litre petrol and instead go for one of the diesels. The diesel power will appeal more when selling on or part-exchange time in the future, because the petrol is a bit of a lacklustre engine. The six-speed manual gearbox is preferable to a CVT Multidrive S box. The cheapest Avensis models to insure are the petrol powered ones which sit in groups 16-17. The diesels call in categories 20 and 24, so premiums are a little higher. The Avensis depreciation is managed well and holds onto its value pretty well. Most models hold onto between 39 and 46 per cent of their value after three years. Business Edition adds Toyota Touch 2 with Go touchscreen multimedia and navigation system, digital/DAB audio package with eight-inch display, reversing camera, front fog lights, rain-sensing wipers, dusk-sensing headlights, automatic air conditioning, 17-inch alloy wheels and part-Alcantara seat upholstery. There’s also Automatic High Beam, Lane Departure Warning and Road Sign Assist. Business Edition Plus adds leather and Alcantara upholstery, front fog lights with a cornering function, LED headlamps, smart entry and rear privacy glass, while Excel gets Toyota Touch 2 with Go Plus, a 10-speaker audio system, full leather seat upholstery, electrically adjustable front seats with heaters and adaptive headlights. The Avensis only managed 89th overall in our 2016 Driver Power Top 100 – which is a better result that 2015 where the car only managed a 111th finishing spot. In the 2016 survey the Avensis finished 38th for reliability and the interior’s spaciousness was praised. However, owners said they weren’t that impressed with running costs, fuel economy and performance. The car hasn’t been crash-tested since 2009. The Avensis does come with a decent haul of safety kit as standard. There’s a large number of airbags, including one for the driver’s knee, while safety kit like automatic emergency braking, electronic stability control, hill-start assistance and tyre-pressure sensors are fitted across the range. Fleet-savvy Business Edition adds lane departure warning, road-sign assistance and automatic high-beam lights. The Avensis is built to do a job, with focus upon high-quality seats, suspension and infotainment technology, the company has built a fantastic place to spend extended periods of time. Families will love the spacious cabin, drivers will appreciate the smooth engines and the comfortable ride is good for everyone. The Avensis is an underrated everyday companion. The Toyota Avensis is a sensible saloon that struggles to get a lot of good reviews. It is widely praised for its build quality and comfort, something that few cars in its class can do better, and all critics have stated that the ride was very good and that it makes a fine long-distance cruiser. The Toyota Avensis returns with sharper styling, even better quality and a much more efficient entry-level 1.6-litre D-4D diesel engine. Despite the Toyota Avensis being a sensible choice for many years, it is only now that the Japanese brand has developed a 110bhp 1.6-litre unit with BMW and it’s been installed into this car as part of a wide-range update. The result for many target business and family users will be a much more favourable. You only need to drive the A5 Cabriolet 100-meters to realise Aston Martin has thrown everything it knows at its latest four-seat convertible. While the intense levels of body. The Toyota Avensis Diesel range is a great car for the taxi industry. At a affordable price you certainly get value for money. A real workhorse that does its job.